The most common infections were skin and soft-tissue infections, osteomyelitis, pneumonia, and bloodstream infections. Photo Credit: Apogee/Science Source. Incident infections related to deployment trauma continue well after initial discharge and into Veteran’s Affairs (VA) healthcare, according to a study published in Clinical Infectious Diseases. Infectious complications related to deployment trauma have a significant impact on morbidity and mortality in wounded service members. The Trauma Infectious Disease Outcomes Study (TIDOS) collects data on US military personnel injured in Iraq and Afghanistan in an observational cohort study of infectious complications. US Department of Defense (DoD) healthcare data is collected on participants both during and after their initial trauma hospitalization and individuals who leave the military and enroll in VA healthcare can consent to the additional collection of data for TIDOS databases. The combination of DoD and VA healthcare data provides near-continuous infectious disease surveillance in participants who transition to VA healthcare. In this subset (first 3 years) of TIDOS enrollees, the incidence and natural history of infections spanning from the time of initial deployment-related injury through military discharge and into civilian life was investigated. Patients were included and eligible for the TIDOS cohort if they were active duty personnel, age ≥18, sustained a deployment-related traumatic injury, and required medical evacuation to Landstuhl Regional Medical Center (LRMC) in Germany prior to transfer to a participating DoD hospital in the National Capital Region in Washington, DC, or San Antonio, Texas. Data from the first 337 TIDOS enrollees to receive VA healthcare was collected from the DoD Trauma Registry, TIDOS infectious disease module, DoD and VA electronic medical records, and telephone interview. Cox proportional hazard analysis was performed identify predictors of post-discharge infections related to deployment trauma. The results showed that incident infections related to deployment trauma continue well after initial hospital discharge and into VA healthcare. Of the 337 enrollees, 33% had 244 trauma-related infections during their initial trauma hospitalization (2.1 infections per 100 person-days). Furthermore, 38% of subjects had 239 trauma-related infections (170 during DoD follow-up and 69 during VA healthcare) following initial discharge, with 29% occurring after the patient left military service. A higher rate of infection was found in patients admitted to the LRMC intensive care unit (ICU) compared with the non-ICU ward (P <.001). Patients most frequently had either 1 (43%) or 2 (28%) infections and 80% were diagnosed following admission to hospitals in the United States. The most common infections were skin and soft-tissue infections (43%), osteomyelitis (14%), pneumonia (13%), and bloodstream infections (11%). 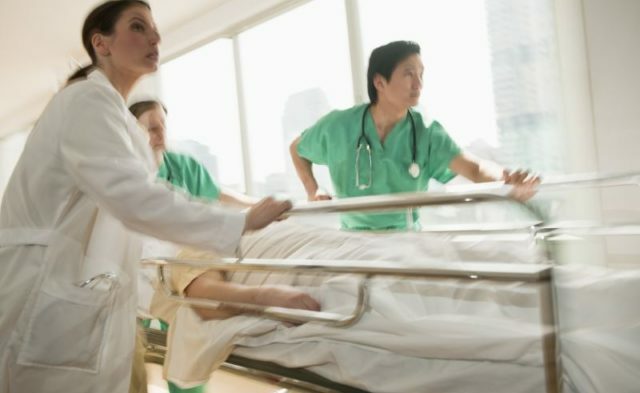 Using time to first infection following discharge from initial US hospitalization, the multivariate analysis showed an Injury Severity Score of ≥10 (greatest with a score of 10 to 15; hazard ratio [HR], 2.72) and having at least 1 infection during initial hospitalization (greatest with ≥3 infections; HR, 2.66) were statistically significant independent risk factors for a shorter time to infection following initial trauma hospitalization.